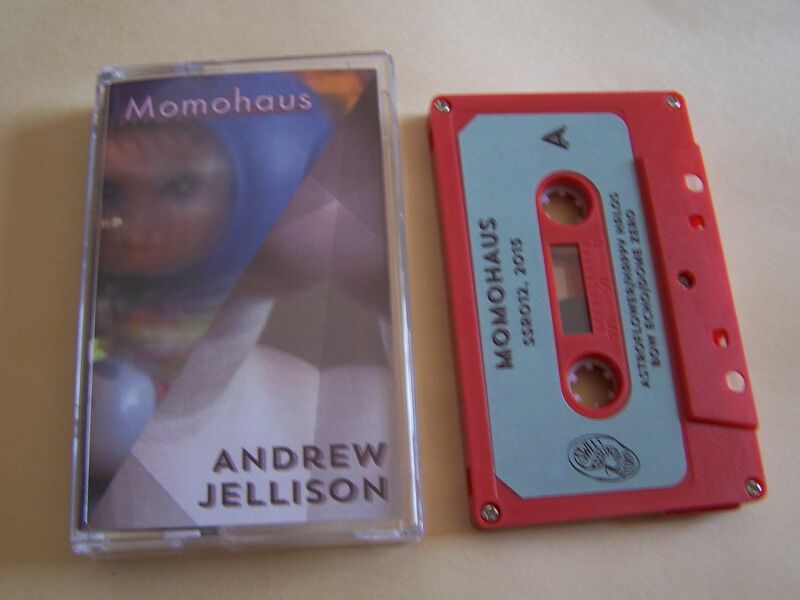 While I'm almost one hundred percent certain I have never heard of Andrew Jellison before, I feel like I have at least heard of Momohaus in name before, so this is going to be an interesting split for me going in because I feel like I kind of know one of the artists and don't really know the other. Still, if you're going into this not knowing either of these artists your recommendation for it should be based on it being on Sweet Sounds Records as that is slowly becoming my new favorite label. 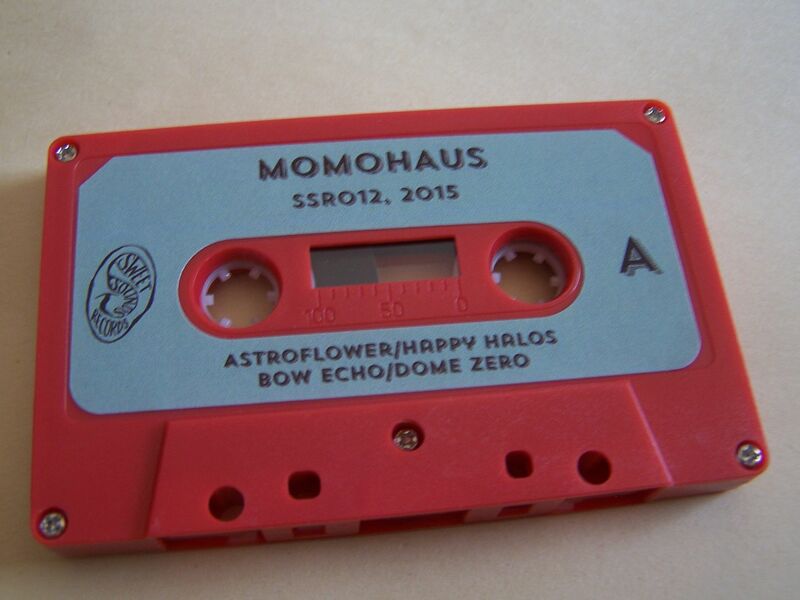 Momohaus begins with an audio clip saying "I wanna get away from it all" and, really, who doesn't? With drum machine beats, loops and audio clips spliced together this has a definite "Weird Science" sound to it. 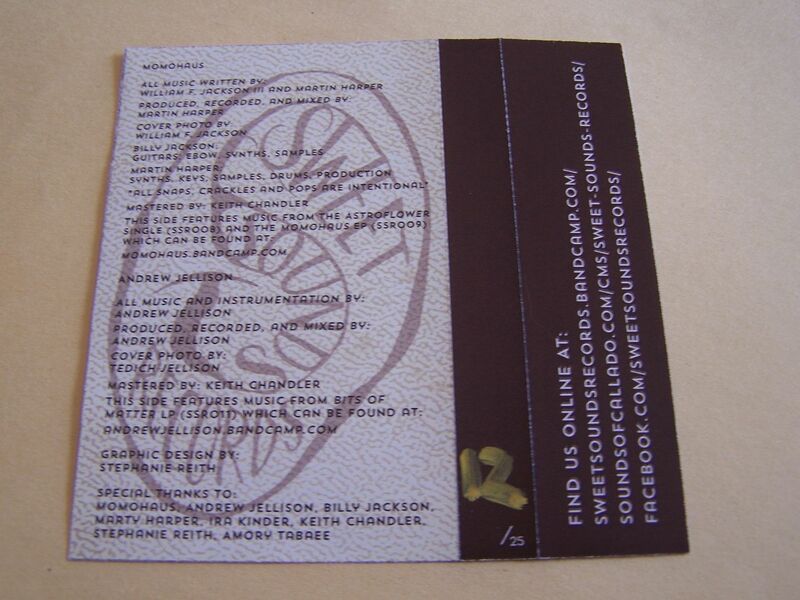 (The theme song from the movie or television series) A bit of the "Same as it ever was" song comes out as well and then we go into what can only be described as those 90210 guitars. There are lasers and there are NKOTB beats, which I am now shortening from here on out as NKOTBeats. (And yes, I still love and listen to NKOTB on cassette) Alien sounds take us into synthwave and the pace really begins to grow faster as we get into some synth that could be out of "Tom Sawyer". 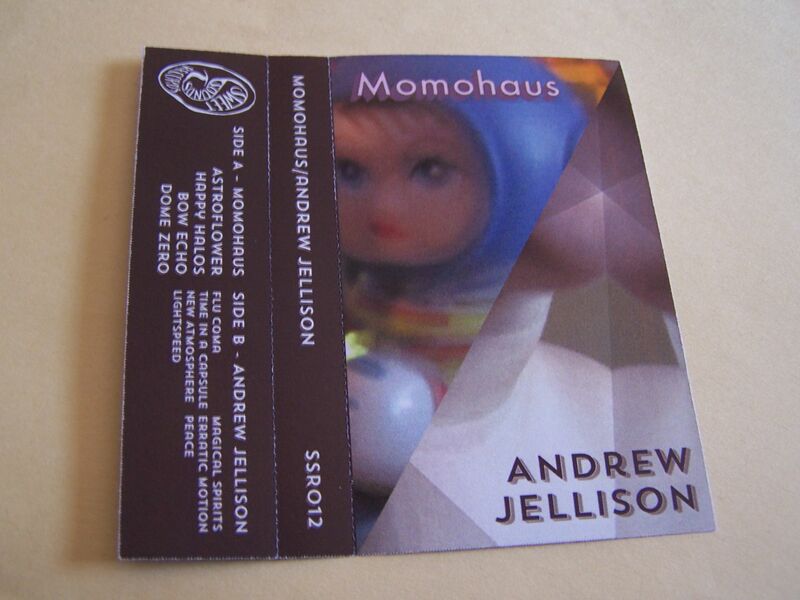 Momohaus brings Side A to an end with beats that can only be compared with Fine Young Cannibals. Crystal tones take us to as relaxing place and then laser whirrs come out and do the same. It's never really been that hectic of a side, but it does become much more relaxed now it would seem. The music becomes almost robotic in a way as well. As it comes to its end, there are guitar notes in place of vocals, further proving instrumental music doesn't need vocals, and it is just overall smooth. 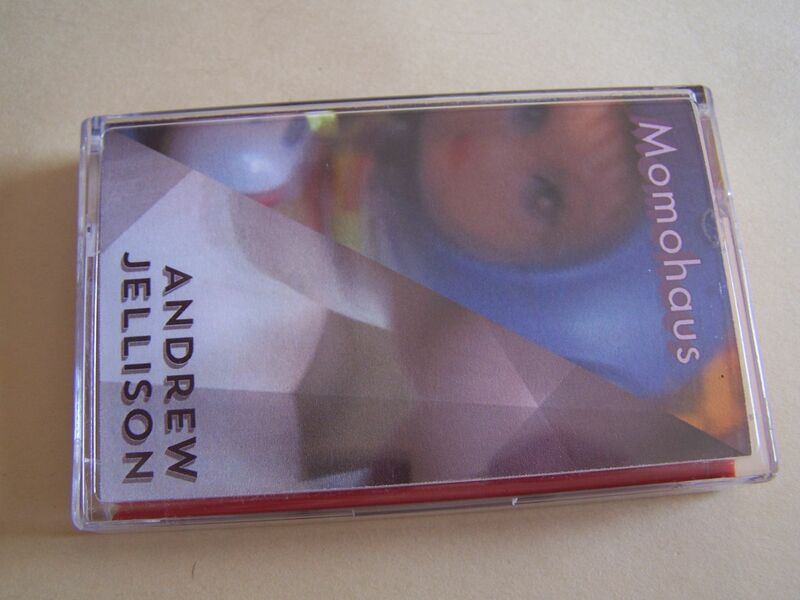 The music of Momohaus and Andrew Jellison has several facets in common but the biggest thing is that both of these sides have the overall feeling of music that was made for cassette, if only because it throws back a lot to the time when cassettes were the most modern of technologies. If you do enjoy one side of this, yes, you are likely to enjoy the other side, but they are also two pieces you can easily tell apart. 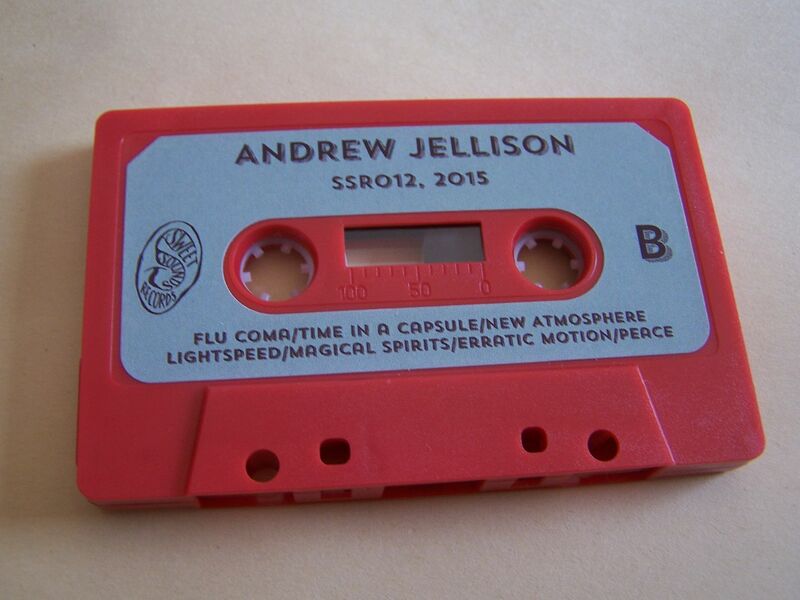 As an example I've used before but seemingly not enough, this split cassette does feel like something you could find at Savers, look at it and buy it on a whim and then find out how great it is. It's like one of those great, lost cassettes because, I mean, so much music was released on cassette through the 1980's and 1990's and for my age I was mostly influenced by the radio and Mtv. There is a modern feel to this on some level, but it's just stands out as being one of the best at what it is doing for both the artists and as a split cassette.